I guess Apple is serious about gaming now. It just announced, as one of its many iPhone “pillars,” the development of GameCenter, which our man on the scene, Greg Kumparak, described as “Xbox Live for the iPhone.” Match-making, leaderboards, achievement points, the works. 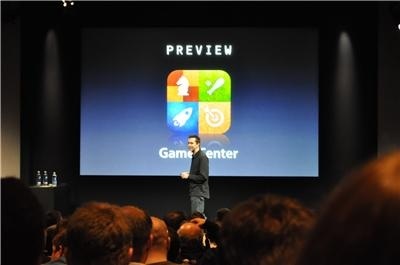 Developers will be able to mess around with GameCenter as soon as the iPhone OS 4.0 developer preview goes live later today, but won’t be available to the general public till the operating system’s release later this year. The idea is to leverage the many, many games currently available on the App Store—more than 50,000 by Apple’s count—and build a veritable gaming community, just like what Microsoft has done with its Xbox Live service (even though Microsoft has been focusing on non-gaming enhancement to Xbox Live for some time now). Given that this was just announced seconds ago, it would probably be wise to slow down before championing the idea that Apple is ready to push Nintendo and Sony, makers of the DS and PSP, respectively, out of the market. Presumably better photos are forthcoming.